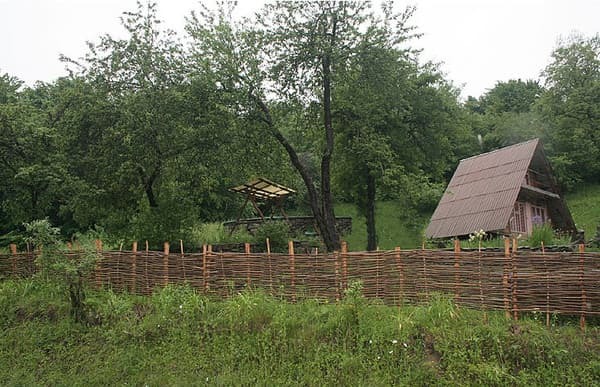 Private two-storey house "Myron" with an asphalted entrance, is located in the village of Lumshory and is designed for 8-14 seats. The first floor of the house consists of 2 rooms with a shared bathroom, a kitchen with everything necessary for self-cooking, a lounge with a fireplace. In each of the rooms there is a double bed, a folding sofa and a wardrobe, as well as the necessary utensils. On the second floor there are 2 rooms and one separate bathroom. In one room there is a wardrobe, an armchair, a double bed, in the second room there are two folding sofas and a wardrobe. In the courtyard of the private house "Myron" has a brazier, a gazebo, a swing, a swimming pool, a parking lot. 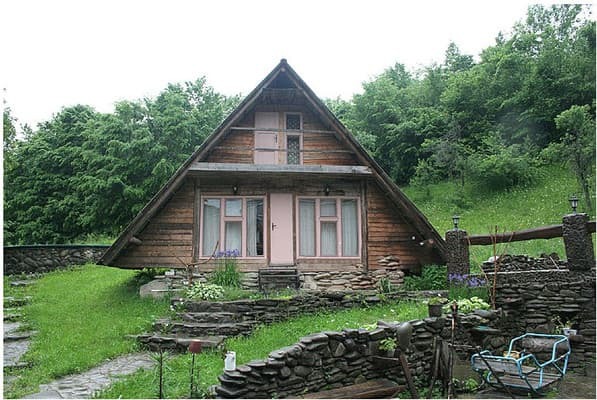 For an additional fee, the "Myron" estate offers transport services, a transfer to the house and to the ski lifts, a wood-heated sauna, a tub with hydrogen sulfide water, excursions, fishing, picking berries and mushrooms, hiking. 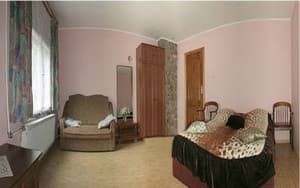 Description of the room: Each room has a double bed, a wardrobe, necessary utensils, an extra bed (a folding sofa or an armchair). Two rooms have a TV. Children under 5 years old stay free of charge, for older children there is an additional fee of 50 UAH. The house kitchen is offered, it is possible to cook by yourself in the kitchen. The nearest café and shop are 250 m away. 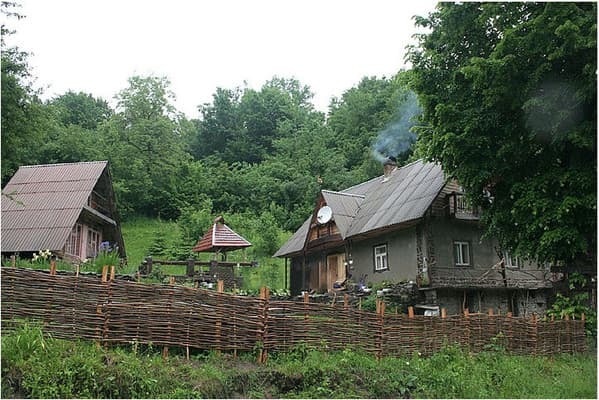 In 1.5 km from the private house "At Myron" there are waterfalls, around a forest, a river and mountains. The distance to Uzhgorod is 50 km, to Perechin 30 km. Public transport can be reached by train in Uzhgorod direction to the station. Uzhhorod, then by bus Uzhgorod - Lumshory, which runs twice a day. By car: along the highway Kiev - Lviv - Chop (M-06), in Svalyava turn on with. Glade, then go by the pointer to Perechin. Go to the signpost of Turya Remeti, turn behind the bridge to the left. Then on the main road go to the village. The house is to the left of the road.